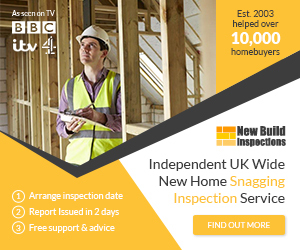 Bovis Homes has been accused of pressuring customers to move into unfinished houses before Christmas by offering them cash incentives, a week before it issued a profit warning. Several Bovis customers said they had been offered cheques of £2,000 to £3,000, or other incentives, if they completed on their house purchases before 23 December. Members of the Bovis Homes Victims Group on Facebook, which also has a YouTube channel, have swelled to 650, with 244 people joining in the last two months. He said a group of at least 30 disgruntled Bovis customers would stage a protest at the company’s annual meeting in Tunbridge Wells on 2 May. The firm insisted that no one was forced to move in before Christmas and that the homes only needed some finishing touches. “Customers were clearly free to decide their preferred course of action. The group often offers a range of incentives at sale and completion in line with industry practice,” the spokesman said. The housebuilder’s chief executive David Ritchie quit on Monday, less than a week after the group issued its profit warning. It warned last Wednesday that it would complete about 180 fewer homes than expected in 2016, blaming operational issues. This will affect profits – Bovis now expects to make an annual pre-tax profit of £160m to £170m, compared with analysts’ forecasts of about £183m. One couple was offered a post-completion cheque of £2,000 if they could legally complete on their property by 23 December, according to an email seen by the Guardian. Comments from other customers suggest the homes lacked more than just finishing touches. None of the defects have been fixed yet but Clifton said the couple “love the house” and that the customer service had improved vastly after his wife sent a scathing letter to Bovis’s head office. Another Bovis customer said he and his wife had been offered £3,000 if they completed on 23 December, but declined the offer because of numerous problems (such as the wrong kitchen being fitted) at the £320,000 three-bedroom property in Inkberrow, Worcestershire. The couple are still waiting for the problems to be rectified and to complete on the purchase. He said they had not been offered any compensation despite the stress caused, time taken off work and the cost of extending storage. Holden and his wife form part of a group of eight families who bought Bovis homes across the country in recent years and have taken the company to task over defects and the length of time it is taking to fix them. In response, the firm launched a review in December and set up a team from across the business to resolve the issues. Karen Louise Richardson and her family said it had taken until now, two years after they moved into a four-bedroom house in Norwich, to fix more than 200 defects. The Richardsons moved in on 19 December 2014 but maintain they were not advised that their house was unfinished until an hour after completion. “I’d never buy Bovis again; I’d never buy a new build again unless I did a lot of research,” she said.